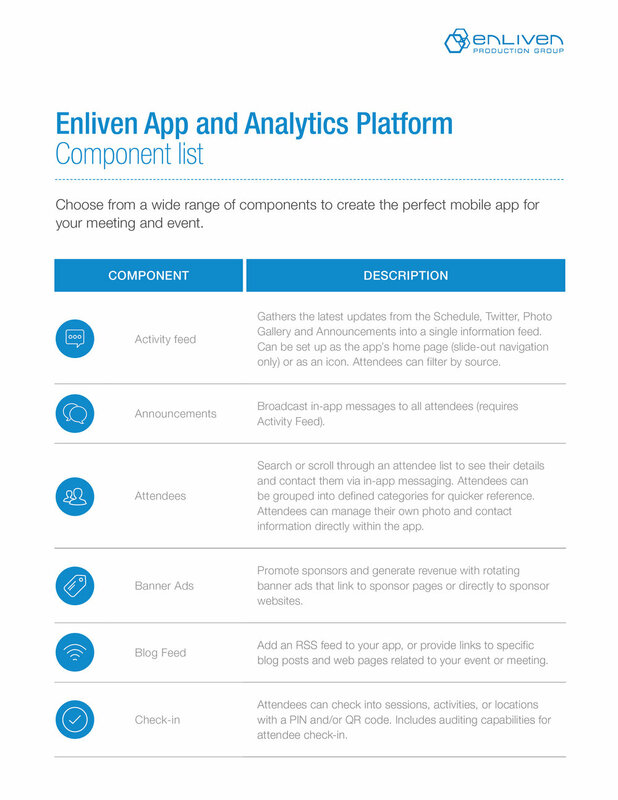 Mobile App — Enliven Production Group, Inc. This interactive smart device technology is designed to build your brand, strengthen your relationships and actively engage your key audiences. Accessible via phones, tablets and laptops, these secure native and web-based solutions are engineered to work flawlessly with all operating systems using either wi-fi or cellular data*. *Smart device solutions are only as reliable / accessible as the wireless internet bandwidth that is setup to support the simultaneous usage of all event users.